We are glad to present our company. We have been working in the market of packaging and food equipment since 1992. 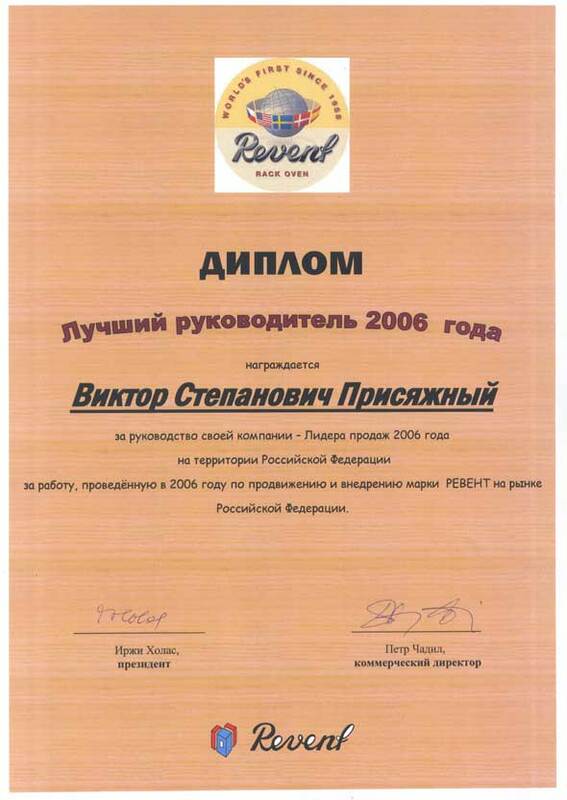 The Director of the company is Prisyazhnyy Victor Stepanovich. He had got a 14-years experience in this sphere. We present the equipment of leading foreign manufactures, such as "Revent International AB" (Sweden), "Rondo Doge" (Switzerland), "Gostol-Gopan" (Sloven), "WODSHOW Bear" (Denmark), "Wabama" (Germany), "SIAT" (Italy), "SmiPack" (Italy) and of more then 20 Russian manufacturers. 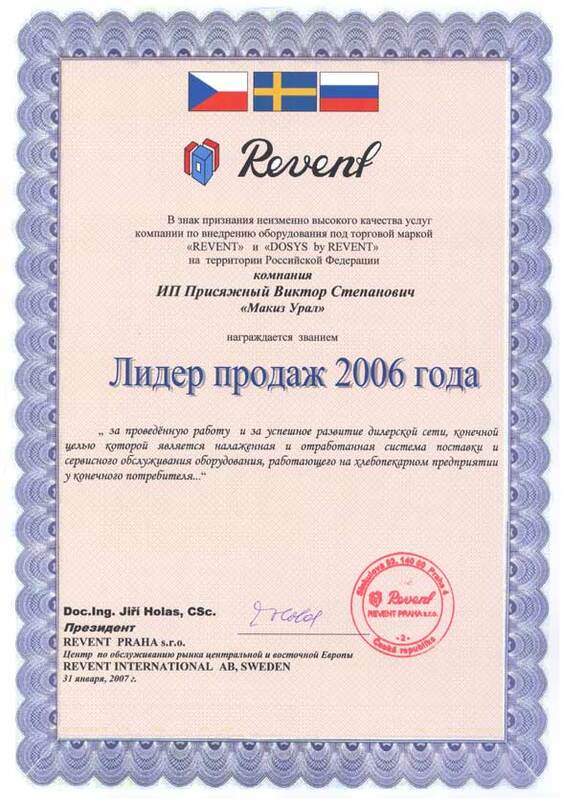 In the sum total of 2007 year our company had become the best dealer of concern «REVENT INTERNATIONAL AB» in the World. 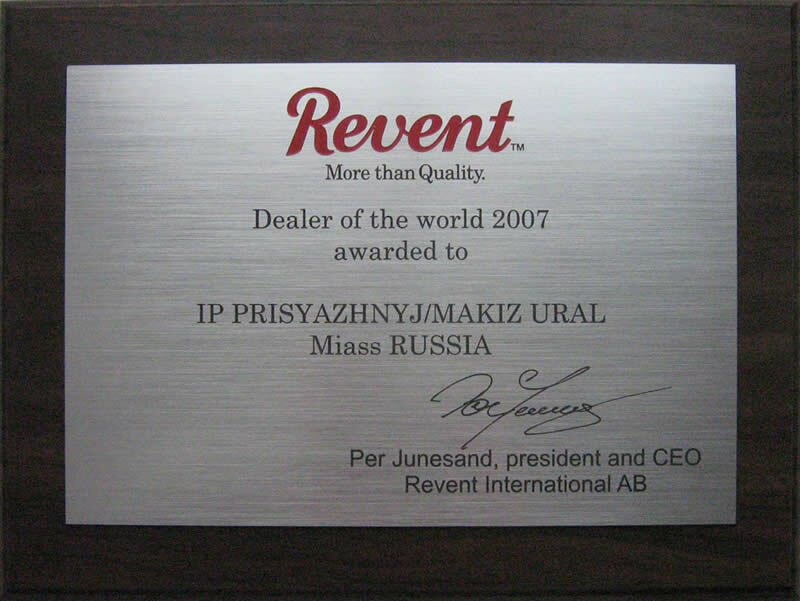 In the sum total of 2006 year our company had become the best dealer of concern «REVENT INTERNATIONAL AB» in the Russian Federation. meat, ravioli, cutlets, canning, milk. Technical personnel of our company make commissioning, teaching the stuff, contribute to the operative realization of warranty repair, make the service. There are more than 60 names of various equipments in our stock. We consult, show the active productions and test manufacture. We also provide for a spare parts and packaging materials.